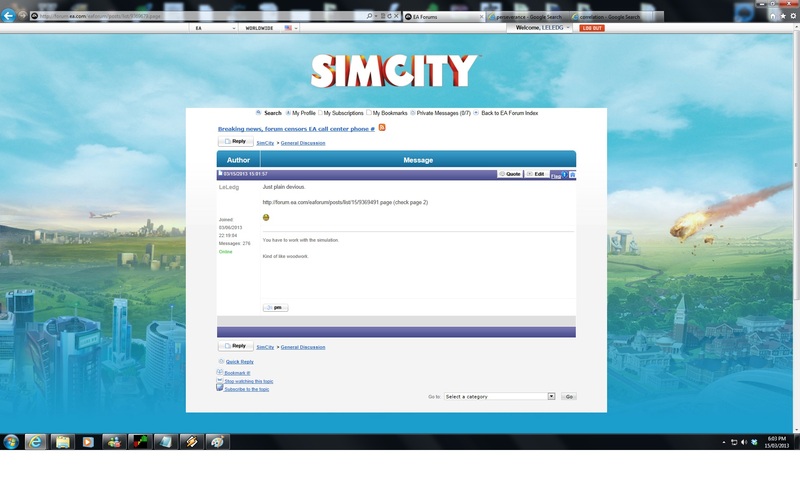 EA Censors SimCity Support Number To Cutback On Refund Requests? You'd think EA, a company whose name has already taken a beating in the gaming community would have learned by now to just roll with the punches and let the dirt slide off their back. Instead, some believe the company has gone and decided to try to censor the support number that people use to get refunds, in order to limit consumers' access to legitimate help. Earlier today the modder behind the now (in)famous offline feature for SimCity came out and made it known on Rock, Paper, Shotgun that not only is it possible to play the game offline, but it's easy to make the game support some regional features in an offline single-player mode. This riled up people to got them shaking their heads in disgust, as if it were further proved that EA may not be on the up and up. 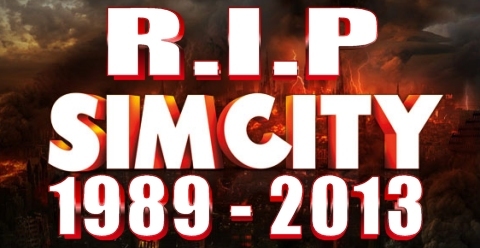 The hard feelings gamers have towards EA right now have prompted a lot of SimCity owners to seek out refunds. If you've noted any of our coverage of this topic before now, you might remember that EA originally offered refunds but then they changed their mind and halted all digital refund requests. Well, the people who bought boxed copies were still looking to get their money back, and even though Amazon offers refunds for either the digital or boxed copy, EA has made it harder still for anyone to get refunds regardless, by censoring and limiting the customer service number required to get in touch with the necessary representative for refunds. One of our readers pointed us to a Destructoid article, where they picked up the story that originated on Reddit. 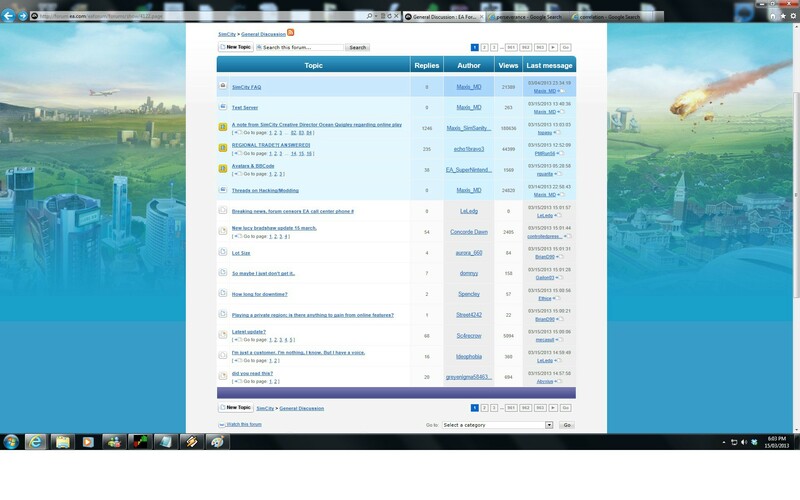 A user noticed that those requesting refunds and seeking more information via the support forums were unable to post the appropriate customer care number, as you can see in screen-caps here, and here and here, where the number has been censored out by EA's forum moderation staff. Just to clarify what happened earlier is a volunteer moderator edited the thread not realizing that it was a valid customer support number, as we don't use that method for sending customers for help from the community. We are all human and make mistakes, there was no bad intentions involved. 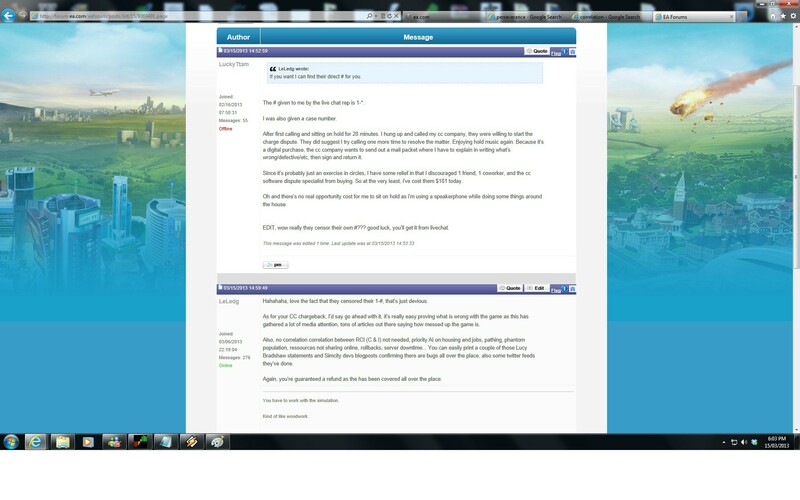 Take note that EA's live-chat support does NOT provide any help regarding service refunds. In fact, the only way to get a refund is with the customer support number EA is censoring on their own forums, since some people who tried getting refunds via the live-chat support were threatened to have their Origin accounts banned.